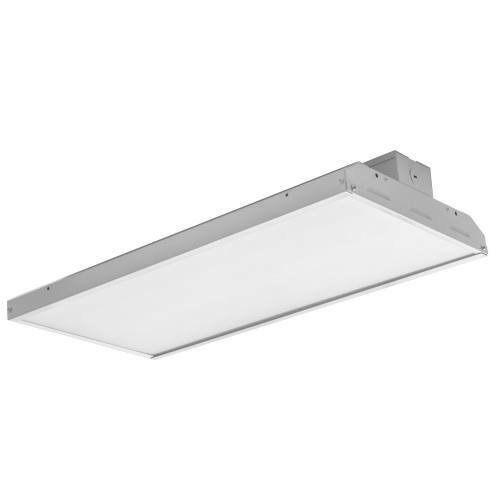 Combining LED exit illumination with reliable LED lamp heads, this attractive low-profile design offers maintenance-free, long life dependable service. 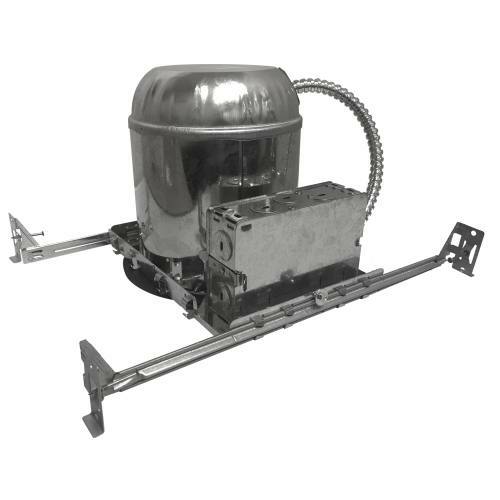 Easily mounts above doors and in restricted spaces to fit any application. 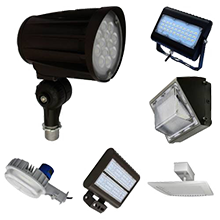 • Long lasting, efficient ultra-bright white LED lamp heads. • 1 watt (8 LEDs x 0.125 watt) per head. 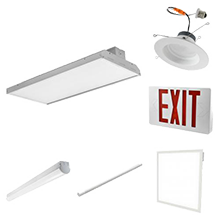 • High-performance chrome-plated metalized reflector and plastic lens for optimal light distribution. • Adjustable LED lamp heads provides optimal center-to-center spacing. Optional high-lumen heads are available for increased center-to-center spacing. 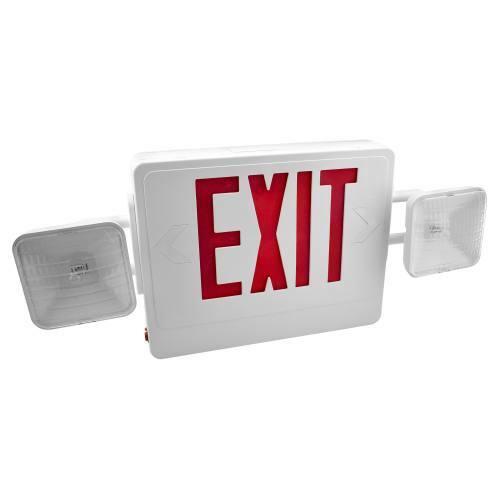 • Long-life, energy efficient Red or Green LED exit sign illumination. • Charge rate/power “ON” LED indicator light and push to test switch for mandated code compliance testing. • 9.6V Long-life, maintenance-free, rechargeable NiCd battery. 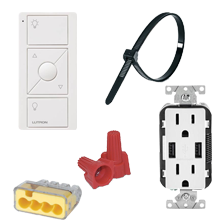 • Internal solid-state transfer switch automatically connects the internal battery to LED board and LED lamp heads for minimum 90-minute emergency illumination. • UL listed for damp locations. (0°C-40°C). • Five year warranty of all electronics and housing. Battery pro-rated for five years. • HL: 12-LED heads provide increased center-to-center spacing. 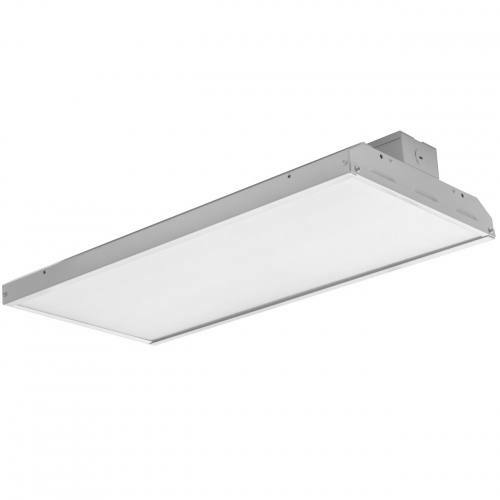 (1.5 watt (8 LEDs x 0.125 watt) per head). • SDT: Self-diagnostic test feature performs monthly, biannually, and annually tests to ensure reliable operation and to meet electrical and life safety codes. • EZ snap-out Chevron directional indicators. • EZ-snap mounting canopy included for top or end mount. 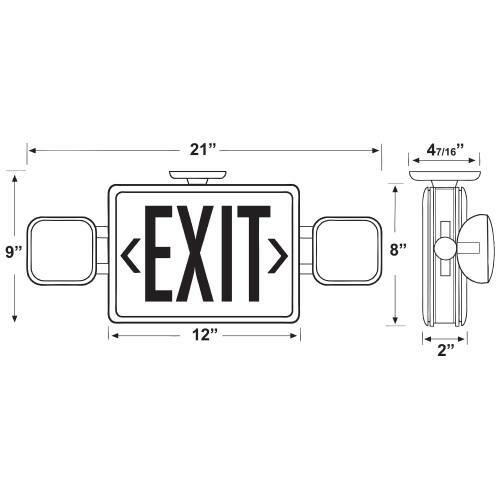 • Universal K/O pattern on back plate for wall mount.